How about a quick homemade soup? 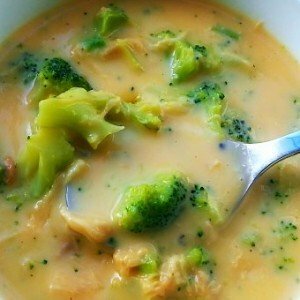 My easy broccoli cheese soup is perfect for a cool fall evening. And you can make it quickly. It is moderately low carb if you are eating that way. You can serve it with crusty french bread or without if you are watching your carbs. Or serve it with a tossed salad. 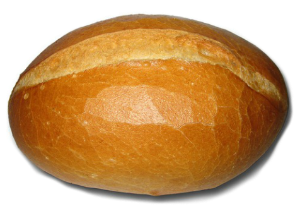 It is SO good in a bread bowl! That is how my husband prefers his to be served. But I have to avoid too many carbs. Apparently I am allergic to carbs and they cause me to break out…..in fat rolls! 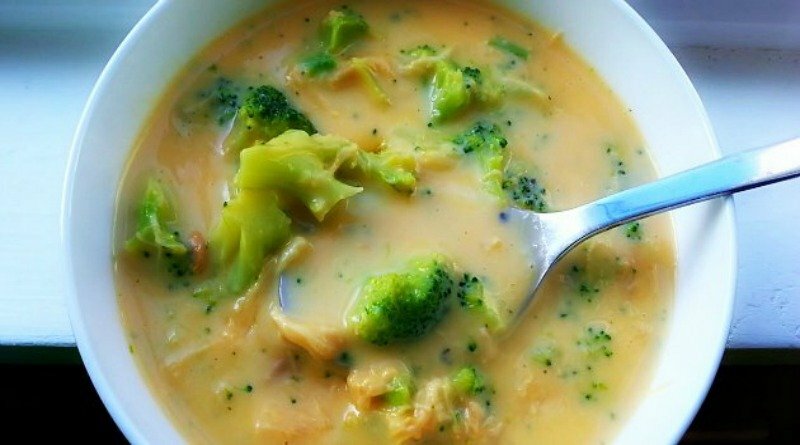 Broccoli is a great vegetable to teach your kids to eat, and they may learn to eat it in a soup first. My grandson wants his served in a bread bowl so that he can be just like Papaw! So I always have to have him over for lunch or dinner when I make this soup. He likes it served inside one of those big puff-ball sourdough breads, hollowed out. But don’t try to get his “cork.” He will wrestle you to the ground for it. That’s his dipper! 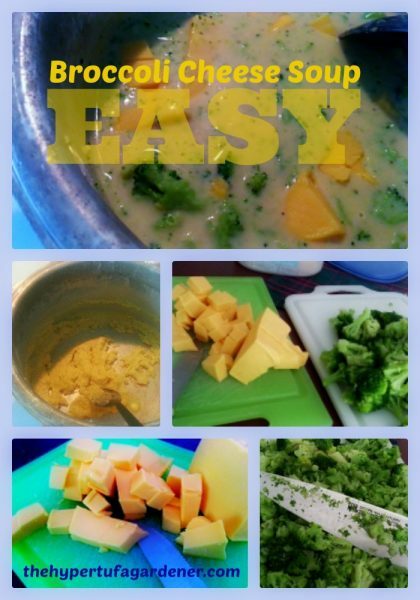 It is an easy soup to make and I make it simply and quickly. It can be ready in 30-40 minutes. I use Velveeta cheese which melts nicely for soup. 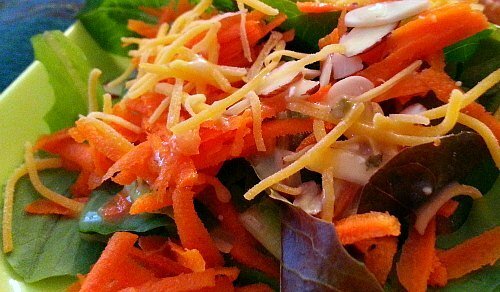 You may use real cheddar or your cheese of choice but it won’t melt the same way and may get stringy. Not attractive looking to me. So Velveeta is an indulgence for us for this recipe. Otherwise I am a Swiss cheese lover myself. No one else in the family likes Swiss cheese so my stash can really last since no one is eating it but me! For the soup base, you make a roux. Simple and easy to do, just watch the heat under your pan. I have a favorite pot for making the roux. This pot is like the one my Mom used to make popcorn in when we were kids. It is the “pot part” of a pressure cooker set. Hers was made of heavy cast aluminum and it always was my favorite pan. I got myself a pressure cooker set when I was married and it is just like hers. So I have had my own Soup Pot . 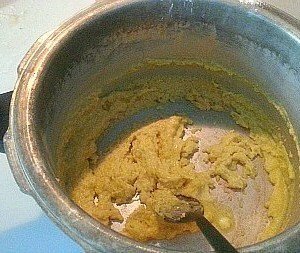 Roux is just a mixture of butter and flour . You melt the butter in your large soup pan and sprinkle in the flour while you stir with a whisk. Watching your heat, just keep stirring until all the flour is coated with all the butter. Then slowly pour in the milk/water/stock mixture while whisking away as it thickens. Don’t scorch it! Most of the time, I am adding milk into this mixture to make a soup base, scalloped potatoes, mac and cheese casserole. So you see, roux is your basic “white sauce” for a lot of recipes. 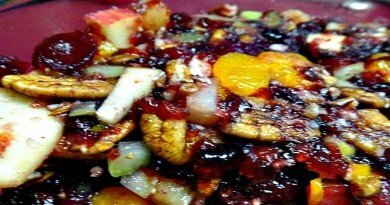 It is the “sauce” mixture that holds a lot of dishes together. For this soup base, you will be adding milk and water or vegetable stock. (Sometimes I use a little leftover chicken stock.) 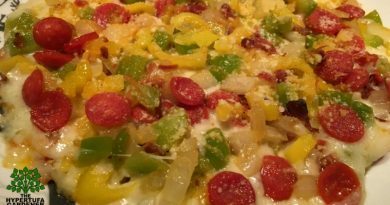 Try this soup, and it will be something quick and easy to make for family or friends dropping in . There won’t be any leftovers! 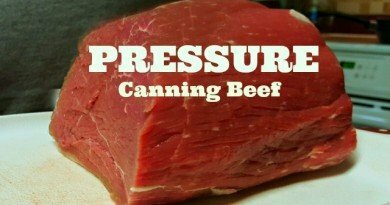 Try this recipe and see how easy it is. You’ll get requests for more, I’m sure. Enjoy! A quick and easy soup to make on a cool fall day. Melt butter and whisk in flour slowly until creamy thick roux is formed. Use low heat and don't scorch the roux. Whisk in the milk or milk/stock mixture and slowly warm until thickened. Add chopped Velveeta and stir until almost melted. Low heat, don't scorch. Serve with bread or in a bread bowl if you like.